n the early 1960's when the Parker 45 and Parker 75 proved that the public was beginning to prefer the clean and easy way to fill their pens, by cartridge. There was also quite clear that the heyday was over for the fountaiin pen. With the phenomenal success of the ball pens Parker contemplated reviving the design of the Duofold "Big reds" that years before had proven so successful. It took, however, until 1970 for the project to launch. 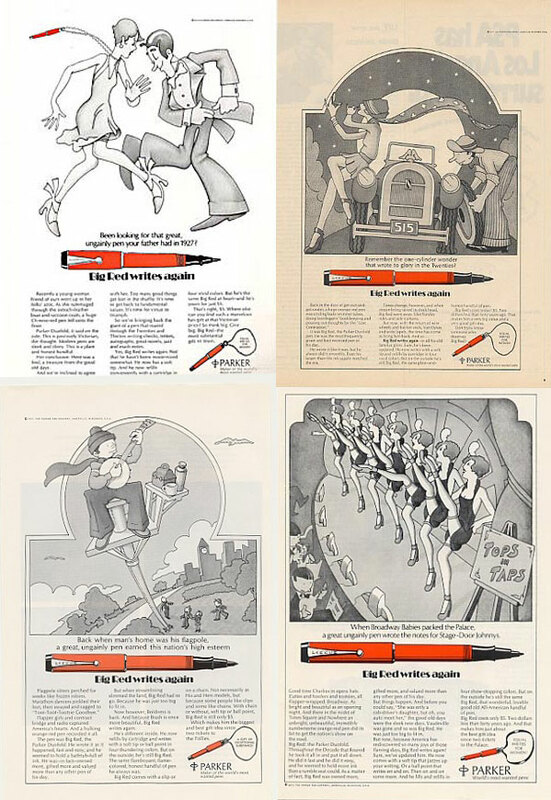 By then also the felt-tip pen was beginning to gain ground so when the new "Big Red" was released it was as a ballpen and a felt-tip Touché pen, respectively. It sold for $2.95 and later for as much as $5. It became very popular and sold in the millions, A little curious was that more colours were added to the line. Thus the Big Red can be found in red, white, light blue, dark blue, brown, yellow, black, orange and green and two-tone Big Reds. There was even a version in the design of the American flag. 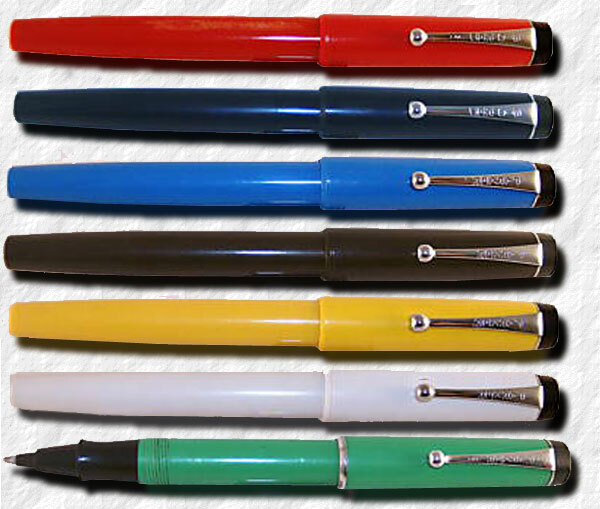 ost pens sported clips but a rig top version, aimed for the female market, was also offered. It was phased out in 1981.